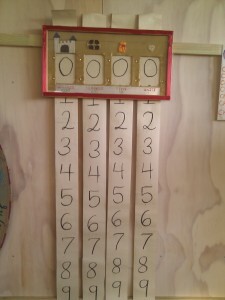 Place value Arithmetic Village style…. What is place value? Place value is the fancy word for ones, tens, hundreds, thousands, etc. Children need to learn place value so when they work with numbers over nine, they know what they are talking about. They often get confused with many numbers, 21 and 12 can be interchanged. Sometimes they look at 21 or 12 and say “That’s 3!”. If number value is not understood completely before adding and subtracting with large numbers, then the children become even more confused. Confusion can lead to frustration, and frustration isn’t any fun. I think this is one of the main reasons so many of us start to dislike math. 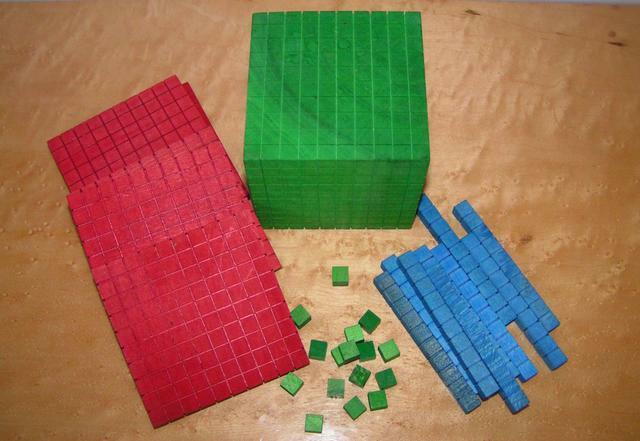 This is where really good math manipulatives come into play. There are lots of ways that people have approached this, I remember cuisenaire rods. Some people teach children how to use a abacus some people use money (penny, dime, dollar), some people use number sliders. All of these approaches are fine, I wanted math to be beautiful for my children, engaging. That’s why I created the concept of jewels, sacks and treasure. 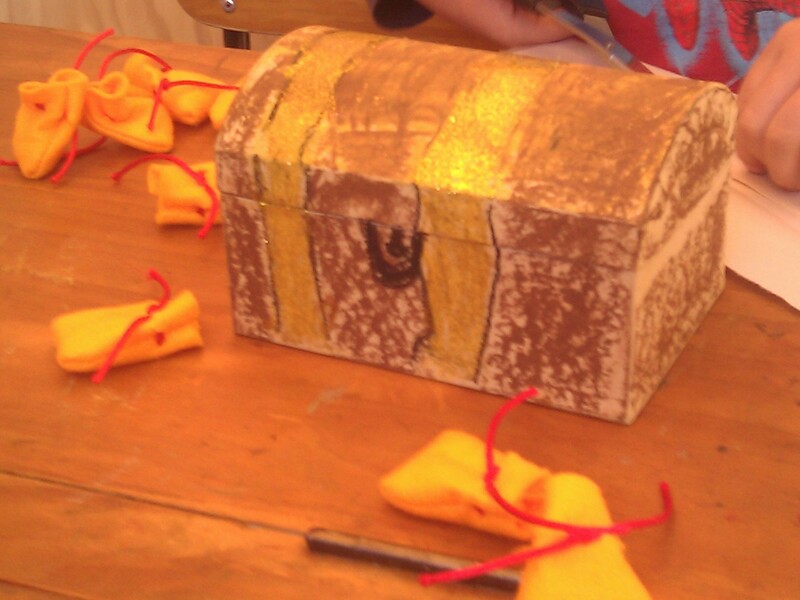 After I read the first book to any child or group of children, I always recommend creating a treasure chest, sacks and jewels. If you homeschool, I recommend following the previous post and after the story recreate a pitter patter of 100 jewels (per child), have the child collect 10 jewels into each sack, and put ten full sacks into a treasure chest. Decorating the treasure chest is a plus! If you want to take the numbers higher and have more children (like I do in workshops) I create a cardboard castle that fits exactly ten treasure chests to equal 1,000. 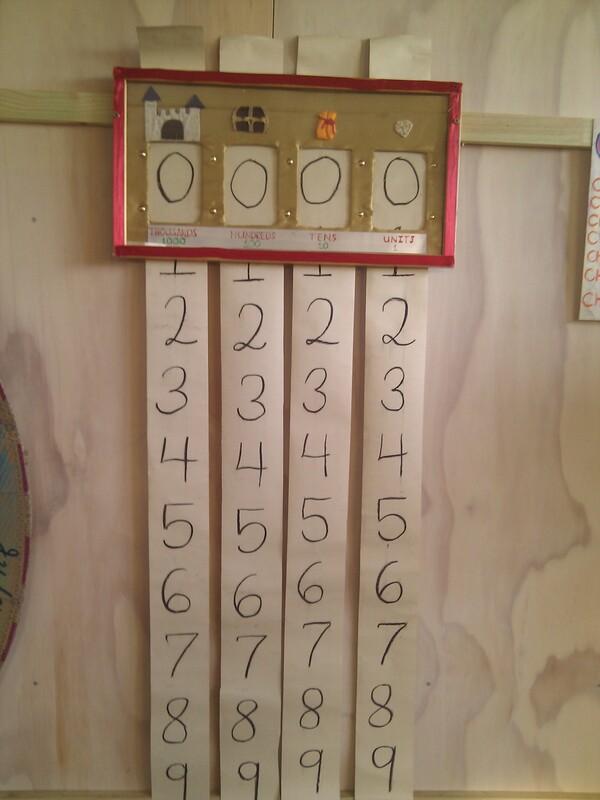 You can also make your own number slider with the symbols to practice larger numbers quickly once the concepts are fully grasped. This of course is not the only way to teach math and you don’t have to purchase Arithmetic Village books to use this method and create your own treasure. You can flip through the first book under “count” on the website.